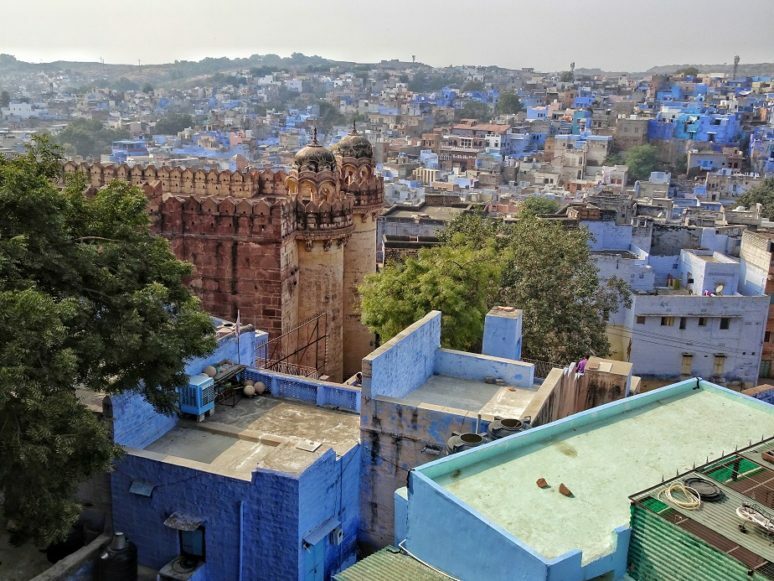 When I told my friends in UK that we have a blue city in Jodhpur, India, they did not believe me. 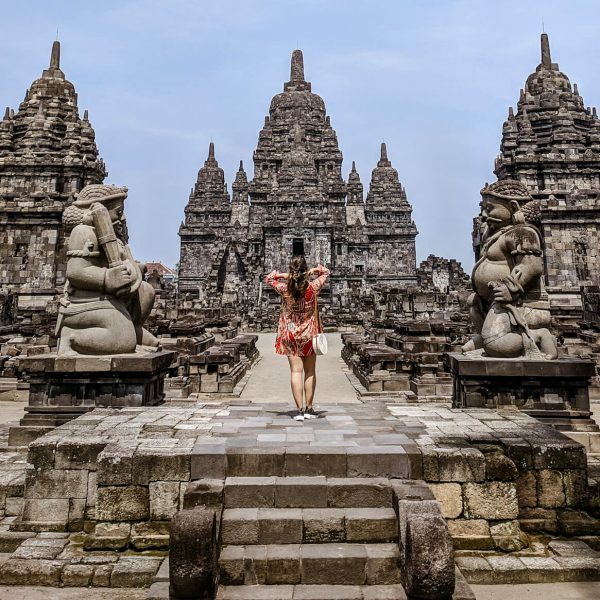 So, I decided that next time when I travel back to my home country, I will make sure I take plenty of pictures to show them what they are missing. 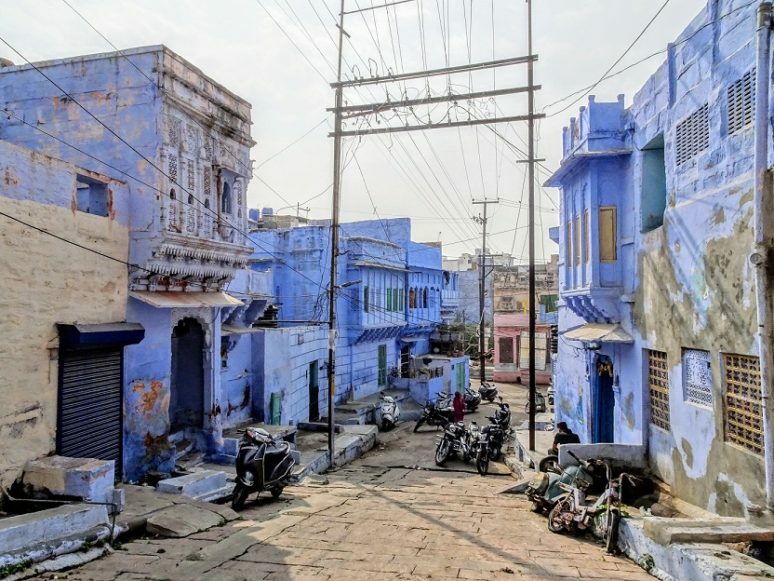 There is no specific historical evidence to the origins of its nickname, “the blue city”, but the locals of Jodhpur narrate different stories, some of which also have scientific and psychological reasons associated to them. The other reason is also that the blue paint can keep the houses cool in the summer months. 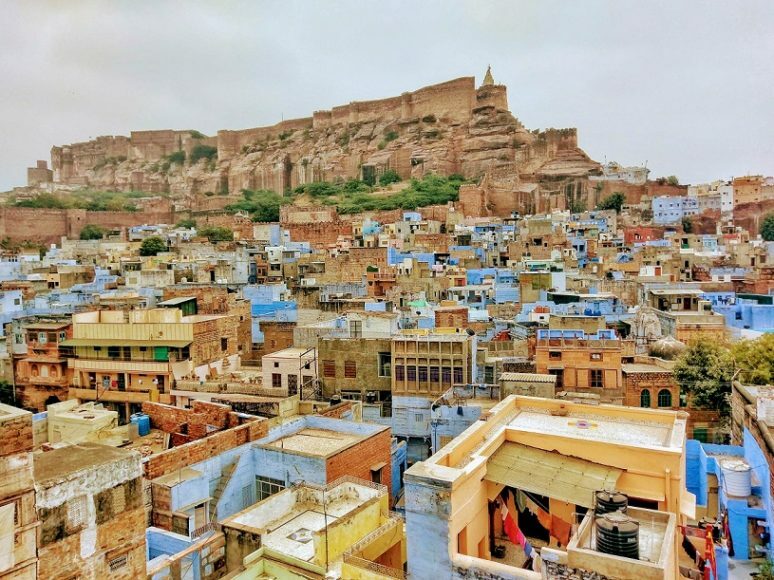 Almost all the hostels/hotels in the old city quarter have open terraces with this view of the spectacular Mehrangarh fort. A sea of boxy indigo houses stretches for more than 10 kilometers along the walls of the historic walled old city. And the Mehrangarh Fort of Jodhpur is THE spot to see it! There are two main gates to enter the fort. Fateh Pol is the one connected to the old city quarter of Navchokiya and is least crowded. Note: you don’t need a ticket to enter the fort itself, only the museum section. 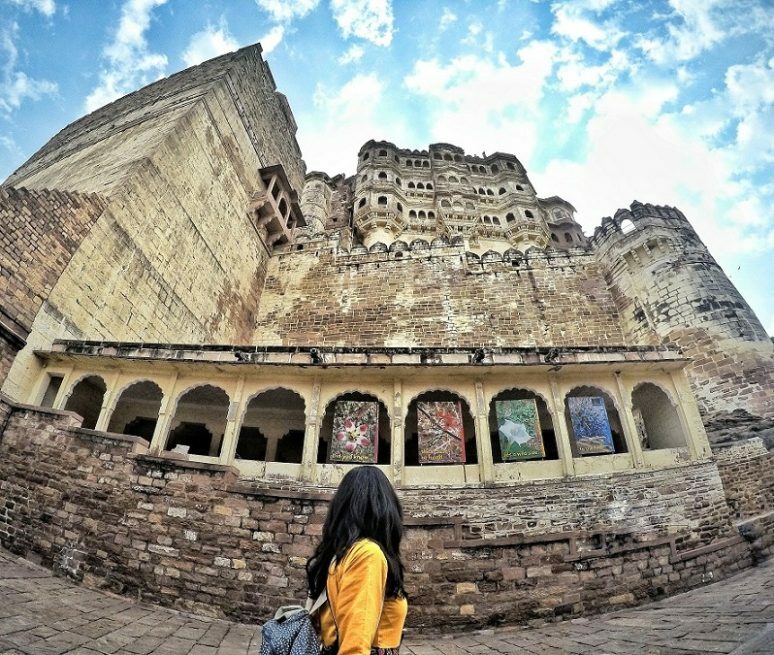 Rising perpendicular and impregnable from a rocky hill that itself stands 120m above Jodhpur’s skyline, Mehrangarh is one of the most magnificent forts in India. The battlements are 6m to 36m high, and as the building materials were chiselled from the rock on which the fort stands, the structure merges with its base. Still run by the Jodhpur royal family, Mehrangarh is packed with history and legend. Another monument not to be missed when in Jodhpur is Jaswant Thada. 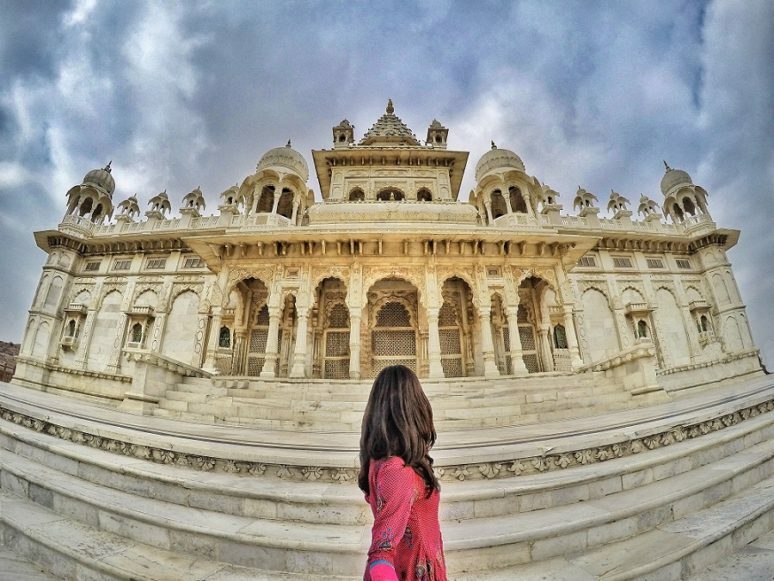 Sitting above a small lake, 1km northeast of Mehrangarh, and this milky-white marble cenotaph is a welcome, peaceful spot after the hubbub of the city, and the views across to the fort and over the city are superb. 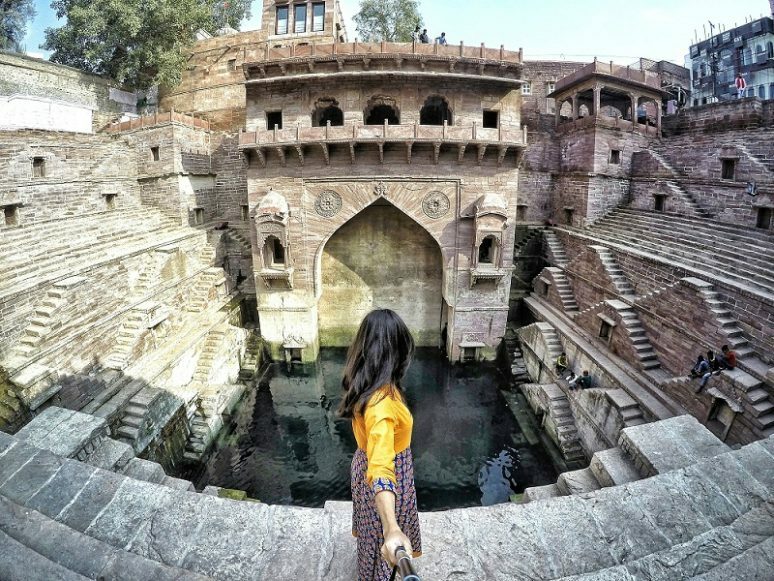 And a last special spot in Jodhpur is an ancient stepwell constructed around 6th century AD and which not many tourists are aware of. This is called Toonwar ji ka Jhalra. Any auto-rickshaw (public transport) in the city will know where it is and it’s a 10 minutes ride from the main city. It is situated on the highest point in Jodhpur, perched on top of a hill. It’s the home of the Jodhpur royal family and currently the world’s sixth-largest private residence. 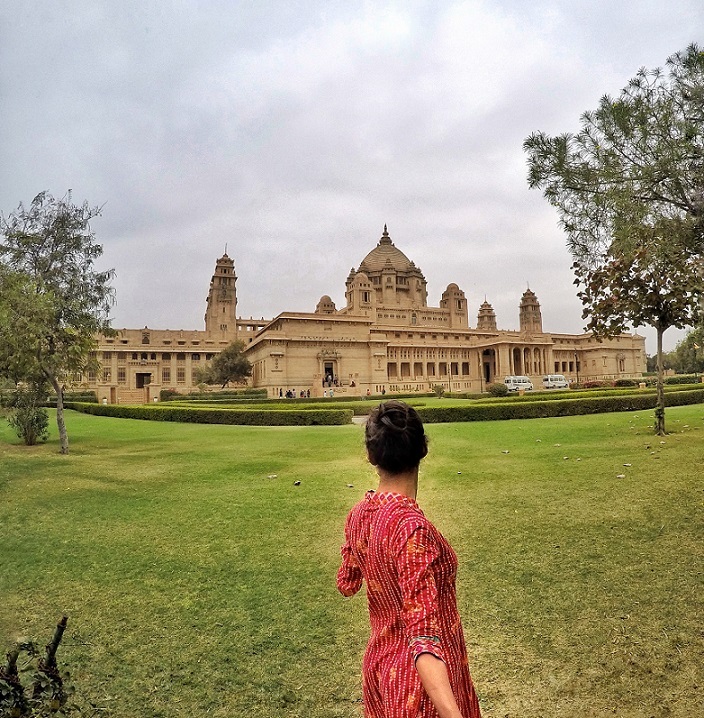 The Umaid Bhawan Palace has one thing in common with the iconic Taj Mahal at Agra—the palm court marble used in its construction. The palace is conveniently located 20 minutes from the airport and around 30 mins from the old town quarter. The property houses a family museum which is open to visitors to get a closer feel of royalty. All in all, you will not forget the eye-catching colour coating the houses, creating a luscious blue sea in the arid Indian landscape. 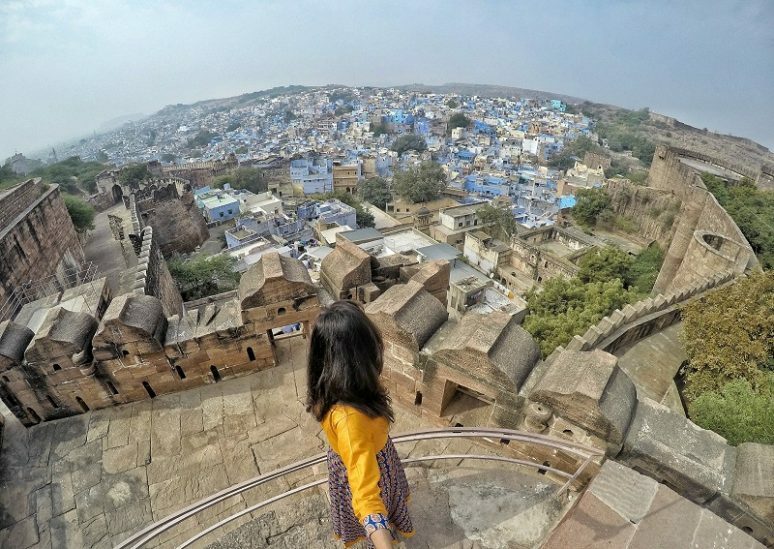 And the view from the top of the looming Mehrangarh Fort, overlooking the bountiful, striking blue is certainly a bucket-list experience. 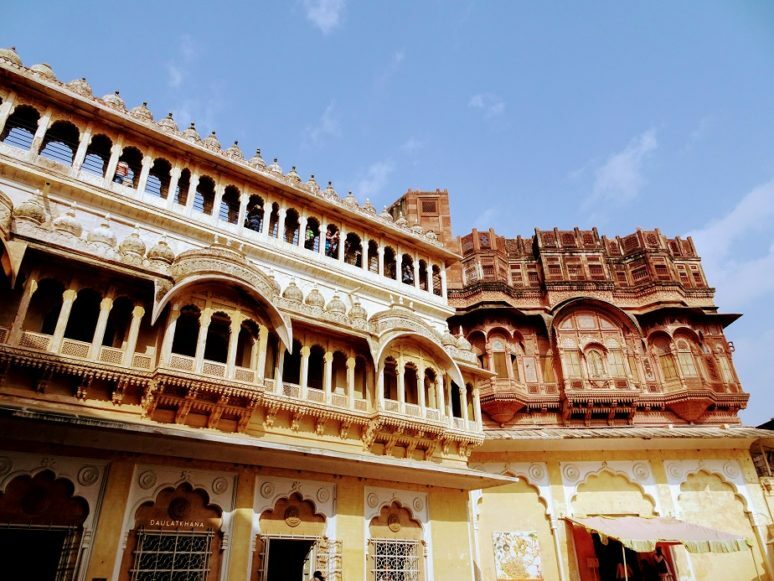 Drive: It’s a nice 5-6 hours’ drive to Jodhpur from Jaisalmer or Udaipur. Stay: There are plenty of cheap and affordable and very hospitable hotels available in the old city quarter which is just a stone throw away from the Mehrangarh fort. Want to do more? RAAS Jodphur: this 18th century sandstone hotel, is very much recommended for a lunch or dinner experience to have that royal feel. And if you can afford to stay in any of these hotels, even better! Wow this looks incredible. 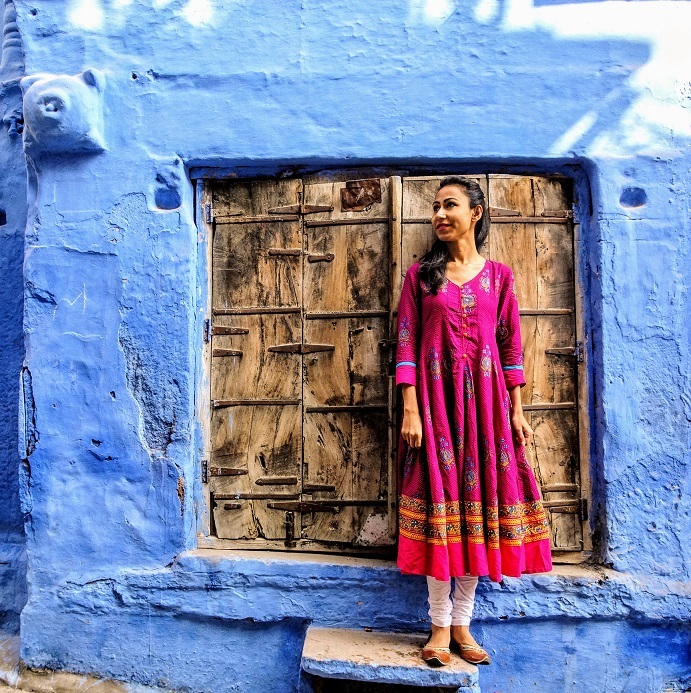 I am happy to know India has it’s own blue city as I wanted to go to Morocco’s but I think I would enjoy this place even more! Thank you for sharing! Thank you Sara! So glad you liked the article. I have not been to Chefchaouen. And I am sure it must be beautiful too. 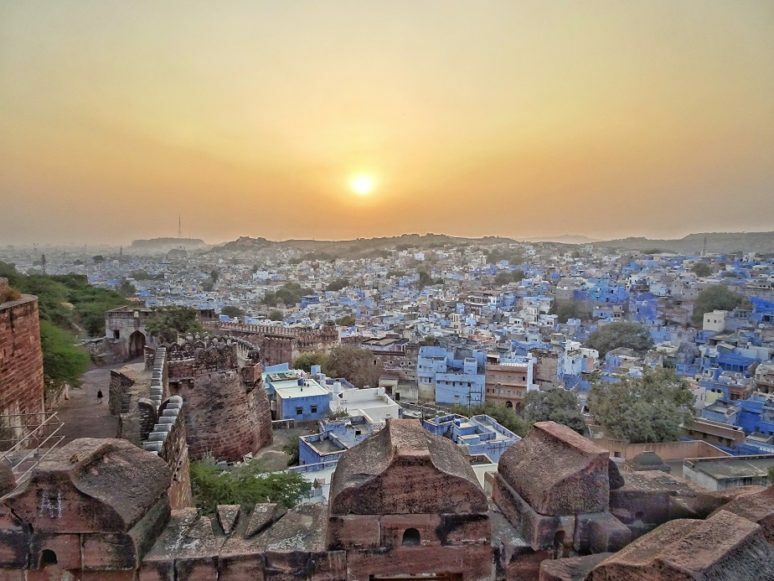 But Jodhpur has much more to offer than just the blue city. The Fort is just incredible! 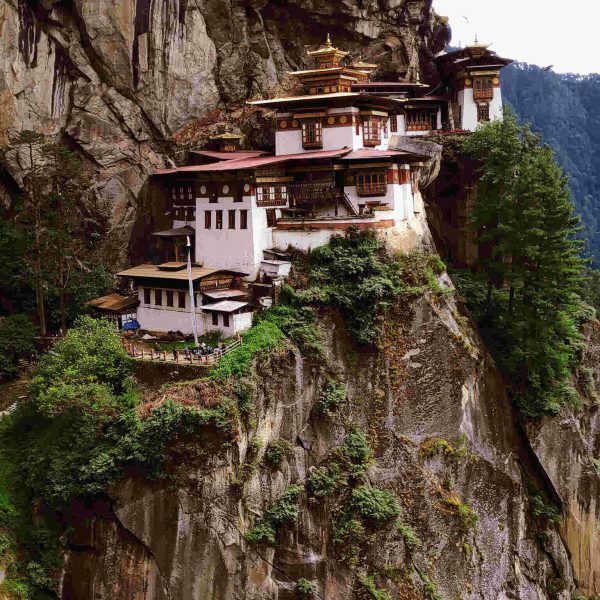 Hope you enjoy it and India overall, when you visit. 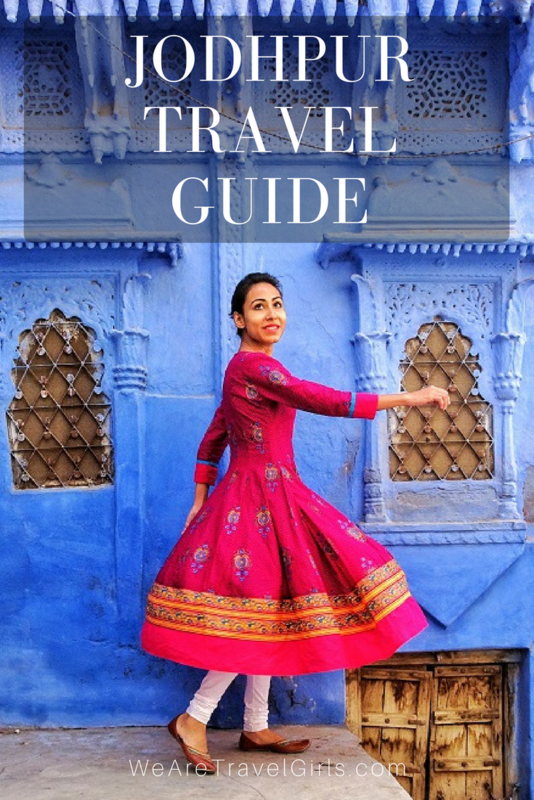 But just to set things in perspective, Chefchaouen is a touristy little town and is certainly more well maintained and decorated compared to Jodhpur which is a city with 1.2 million people. India in about two weeks. 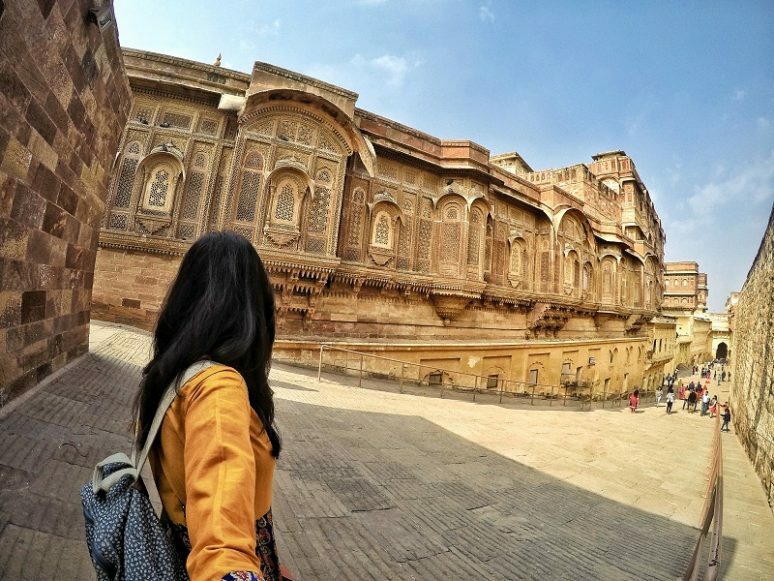 Are there less strict rules about monopods at sites in Jodhpur like the fort and Jaswant Thada? What stunning photographs! 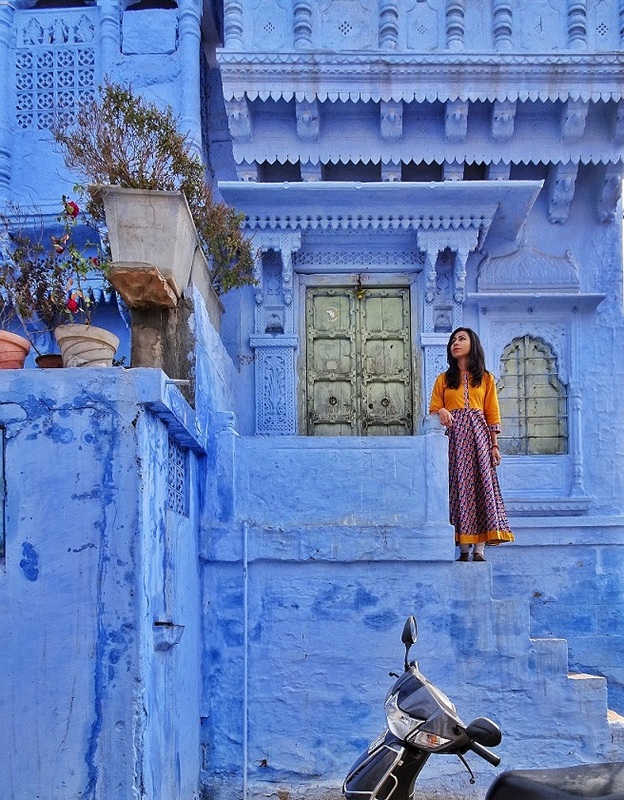 I just got back from Jodhpur, but feel like going back after seeing how much ‘blue’ you’ve captured!